When my husband and I lived in Vancouver, we loved to stroll along the railroad tracks and admire the Kitsilano Community Gardens. 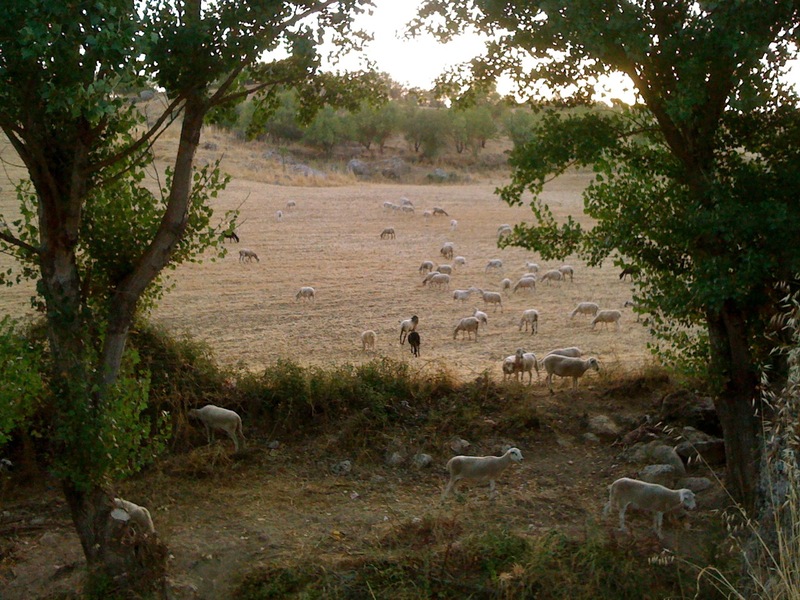 We always wanted a plot, but we never imagined it would be here in Andalucía. 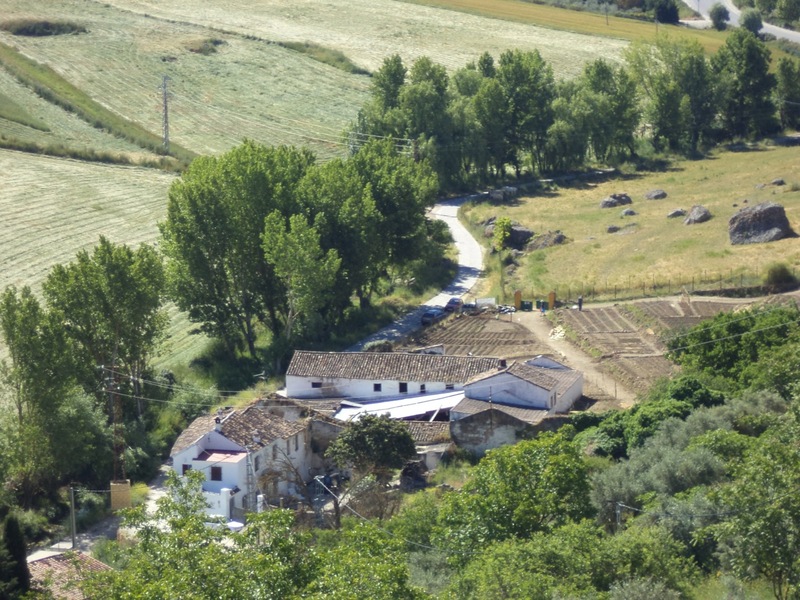 But it is never to late to learn, so when Pepa, the little old lady in the world’s smallest butcher shop at the top of our street had a poster advertising Ronda’s first community gardens or Huertos, we immediately signed up. That was March and we did not hear anything back for weeks. By May we wandered down to the lot to see if anything was happening and saw an aunt hill of activity with other huertlanos busily preparing their plots. Like most community gardens, ours is run by a group of wonderful volunteers, so some things will fall between the cracks. No harm done. We were allocated lot number six, 10 meters by 9 meters, facing a meandering brock and a hillock silhouetted by olive trees where a handful horses usually graze. 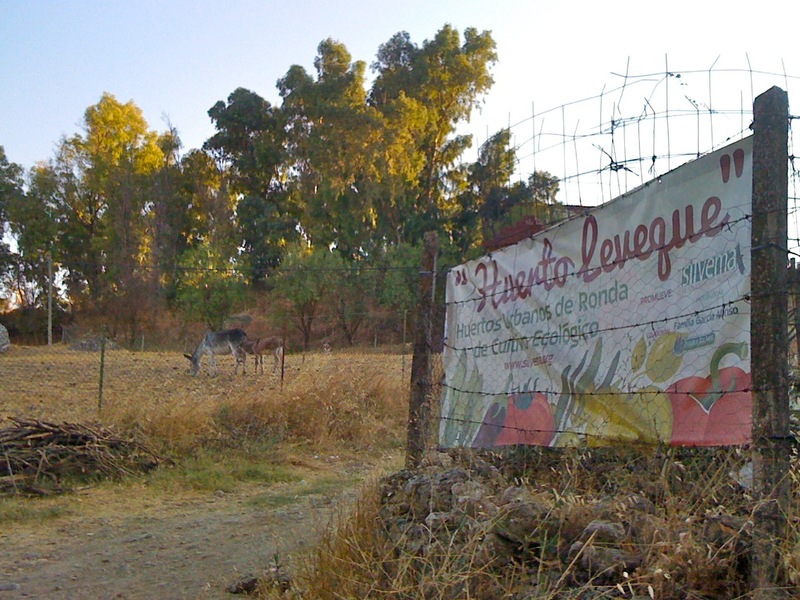 The Huerto Leveque consists of 30 plots of various sizes, rented annually. One third of the lots are given to Red Cross, so welfare families who has trouble feeding their children can grow crops there. This way we have met some wonderful gypsy families (one with 8 children! ), who have taught us many things about what and how to grow. 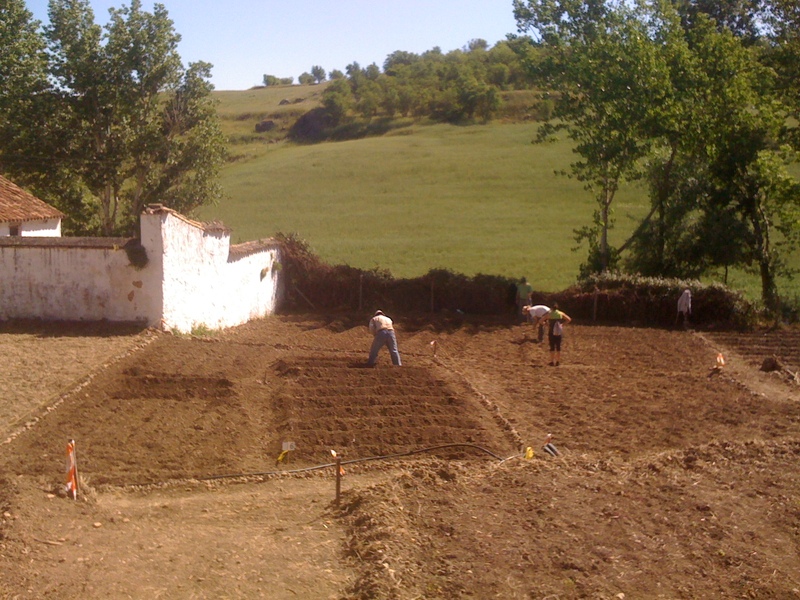 We started by observing the other huertelanos as they rototillered their plots. Not knowing where to rent these machines, we went to our local bar instead. We mentioned our need to the owner and he immediately volunteered his brother to help us. Sure enough, 8 o’ clock the next morning Salvador was there with his industrial style rototiller (la burrita) , doing passes in every direction for three hours straight, not expecting a cent in return. That is Spanish kindness to you! Copying the more experienced gardeners, we started gathering mounds of earth into rows. I insisted that we plant a lemon tree in the centre, with isles leading out on four sides. 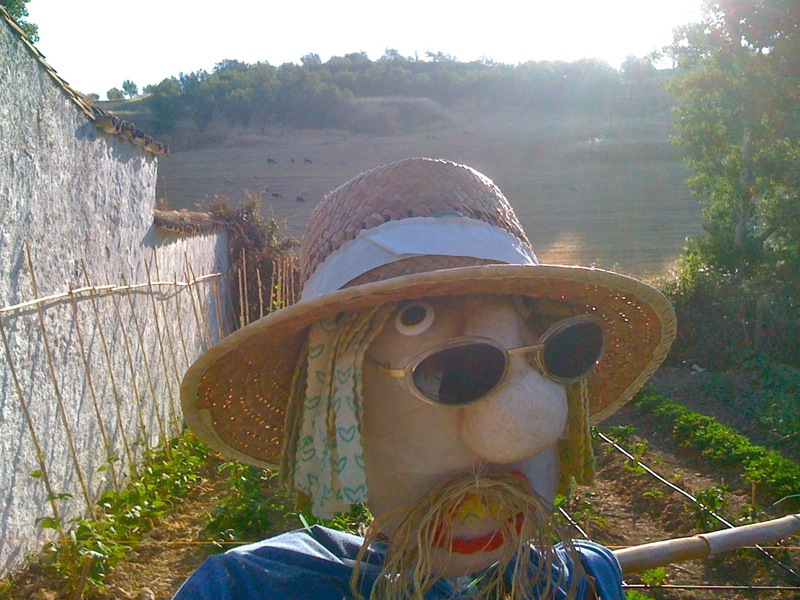 (Once a decorator, always a decorator…) Admittedly, I was more excited about making a scarecrow than digging and such, so we were the first, and still are, to have a scarecrow in the community garden. Gonzales has beady eyes, a straggly rope moustache, gold ballet slippers from a friend from the UK and a pair of army cutt-off pants inherited from Clyde from Canada. If he doesn’t scare away birds, he will at least scare people. In spite of ourselves, or more so thanks to our fellow huertolanos, we have enjoyed the bounty of the Andalucian climate. Radishes the size or huge carrots, a 1 kg tomato – too big to fit in ones hand. I never thought I would say this, but I have become a pusher. 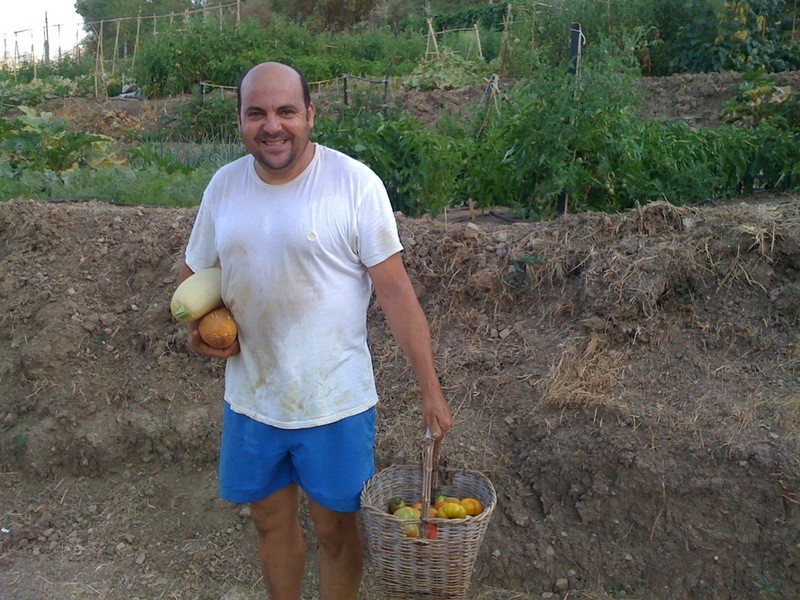 Our cucumber and peppers are simply producing too much for the two of us, so we try to push our vegetables on friends, fiends, neighbours and any unsuspecting passer-by.